An eyewitness declared that he “never saw a greater display of personal bravery” than Mifflin exhibited in his “cool and intrepid conduct” in leading an attack on a British foraging expedition at Lechmire’s Point on November 9, 1775. The following month he was appointed to the rank of Colonel. 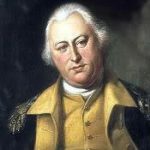 He was promoted to Brigadier General on May 16, 1776, and at his own request was relieved of his duties as Quartermaster General. Shortly thereafter Mifflin commanded the covering party during the withdrawal from Long Island, New York. In late 1776 he was sent by General Washington to Philadelphia to make a spirited appeal for replacements, which was well received. In October 1776 Mifflin was persuaded by the General Washington and the Continental Congress to resume the duties of Quartermaster General, due to difficulties in finding a suitable replacement. Mifflin was present at the battles of Trenton and Princeton and assisted in the defense of Philadelphia, and was appointed to the rank of Major General in February 1777. Mifflin tried to cope with the massive workload caused by Congress’ decision in 1777 to expand the Continental Army. Congress also approved a new organization of the Quartermaster’s Department, but Mifflin had not fully implemented the reforms and changes before Philadelphia fell. Dispirited by the loss of his home and suffering from poor health, Mifflin attempted to resign. Criticism from the Congress caused General Mifflin to resign from both his position as Quartermaster General and his rank of Major General in October 1777. Congress pressed him to continue as Quartermaster General temporarily. His political enemies accused him of embezzlement and a Congressional committee recommended that he be held responsible for the mismanagement caused by subordinates during his tenure as Quartermaster General. General Washington was directed by Congress to order an inquiry on the matter. General Mifflin invited the inquiry, claiming that Congressional interference had prevented him from properly directing the Quartermaster Department, but an inquiry never occurred. Mifflin indignantly resigned his commission as a Major General on August 17, 1778, and it was finally accepted by Congress on February 25, 1779. Despite these difficulties, Congress continued to call upon General Mifflin for advice. The most notable example was in 1780 when he assisted in framing recommendations for reorganization of the Army staff departments. Thomas Mifflin’s success as a merchant led him to despise the taxes put on the American colonists by England and that, and his talent as a speaker, motivated him to become involved in politics. In 1772 he was elected to Pennsylvania’s Provincial Assembly (1772–1776). A summer vacation in New England in 1773 brought him in contact with Samuel Adams and other Patriot leaders in Massachusetts, who channeled his thoughts toward open resistance. Parliament’s passage of the Coercive Acts in 1774, designed to punish Boston’s merchant community for the Tea Party, provoked a storm of protest in Philadelphia by merchants as well as the common workers who depended on the port’s trade for their jobs. Mifflin helped to organize the town meetings that led to a call for a conference of all the colonies to prepare a unified position. In the summer of 1774 Mifflin was elected by the legislature to the First Continental Congress, where he became one of the youngest and most radical members. There, his work in the committee that drafted an organized boycott of English goods spread his reputation across America. He was also elected to the Second Continental Congress but when Congress created the Continental Army as the national armed force on June 14, 1775, he resigned from Congress, along with George Washington, Philip Schuyler and others, to go on active duty. In Congress, there was debate over war policy. This debate came to a head during the winter of 1777-78, and centered around the reorganization of the Board of War, Congress’ administrative arm for dealing with the Army. Mifflin was appointed to the Board because of his technical expertise, but his political ties embroiled him in an unsuccessful effort to use the Board to dismiss Washington. This incident ended Mifflin’s influence in military affairs and brought about his own resignation in 1779. Although the accusations of wrongdoing as Quartermaster General may have damaged Mifflin’s national reputation he was still popular in his home state. Voters sent him to the Pennsylvania legislature in 1778 and returned him to the Continental Congress in 1782. 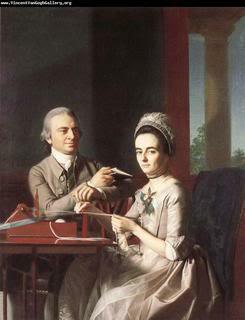 Mifflin was elected to the Congress again from 1782 to 1784, serving as its President from December 1783 to June 1784. Formally received by Congressional President Thomas Mifflin, George Washington resigned his commission as Commander-in-Chief on December 23, 1783. What made this action especially remarkable was that Washington surrendered his commission to Mifflin, who had conspired in the Conway Cabal to replace Washington as Commander-in-Chief with Horatio Gates in 1777. Another of Mifflin’s notable acts as president was the signing of the ratification of the Treaty of Paris on January 14, 1784. This legislation marked the official end of the war and established the sovereignty of the United States. Mifflin was then elected him to the state legislature where he served as the speaker of the Pennsylvania House of Representatives from 1785 to 1788. In 1787 Thomas Mifflin was selected as a delegate to the Constitutional Convention held in Philadelphia, where he supported a balance between national and state powers. He was also a signer of the U.S. Constitution. He was a member of the Supreme Executive Council of Pennsylvania, and on November 5, 1788, he was elected President of the Council, replacing Benjamin Franklin. He was unanimously reelected to the Presidency on November 11, 1789, and presided over the committee that wrote Pennsylvania’s 1790 State Constitution. That document did away with the Executive Council, replacing it with a single Governor. 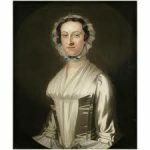 Sarah Morris Mifflin died in 1790. On December 21, 1790, Thomas Mifflin became the first Governor of the Commonwealth of Pennsylvania. Some of his accomplishments as Governor were construction of new roads, improvement of inland navigation, reform of judicial establishments and strengthening the militia. He held that position until December 17, 1799, when he was succeeded by Thomas McKean. After three terms as governor, Mifflin was returned by Pennsylvania voters to the state legislature where he served until his death. Although wealthy most of his life, Mifflin was a lavish spender. His service to his nation was important to her growth and development and financially took a toll on the once wealthy businessman. Pressure from his creditors forced him to leave Philadelphia in 1799. By the end of his life Mifflin’s finances were so unsettled that he had to be buried at state expense. Thomas Mifflin died on January 20, 1800, in Lancaster, Pennsylvania, at the age of 56. He is buried at Trinity Lutheran Church Cemetery in Lancaster. General Mifflin was inducted into the Quartermaster Hall of Fame in 1987. Mifflin Hall, the Headquarters Building for the Quartermaster School at Fort Lee, Virginia, historic Fort Mifflin in Philadelphia and Mifflin County, Pennsylvania, are named in his honor.